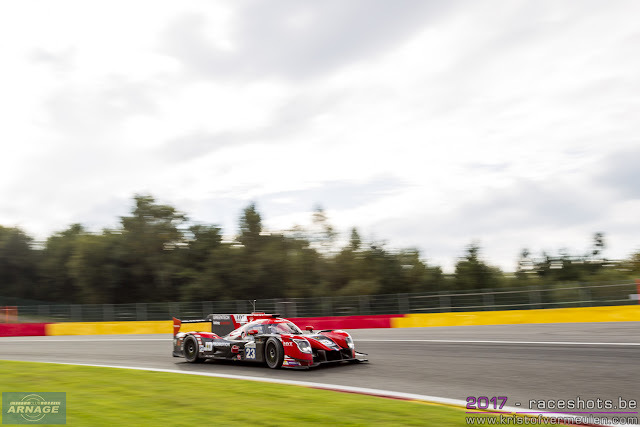 Ben Hanley took the DragonSpeed ORECA 07 he shares with Nicolas Lapierre and Henrik Hedman to pole for tomorrow’s European Le Mans Series 4 Hours of Spa setting a 2:02.457 lap early in the 12 minute session. Hanley’s efforts mark the team’s third pole position this season. 0.375s behind was Ryo Hirakawa in the sister #22 G-Drive Racing by DragonSpeed making it a front-row lockout for the DragonSpeed teams. Returning to the team after missing the previous two rounds at the Red Bull Ring and Le Castellet the Japanese racer locked in a 2:02.832 lap. 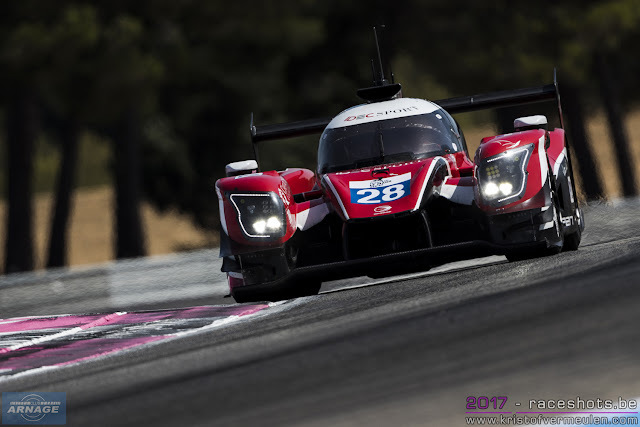 Third spot went to Enzo Guibbert who set a 2:03.053 in his #39 GRAFF ORECA just under 300ths of a second ahead of Filipe Albuquerque in the fastest of the Ligiers, the #32 United Autosports machine. 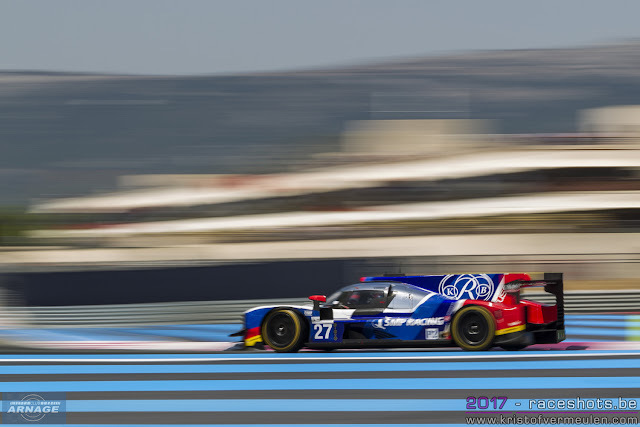 Britain’s Richard Bradley set a 2:03.427 to claim the fifth spot on the grid for the #40 GRAFF ORECA with Andrea Pizzitola claiming the last spot on the third row for the #25 Algarve Pro Racing. All four of the Dallara P217s struggled today with the best result going to SMP Racing who will start tomorrow’s race from ninth position, 1.867 seconds off the pole sitter’s pace. 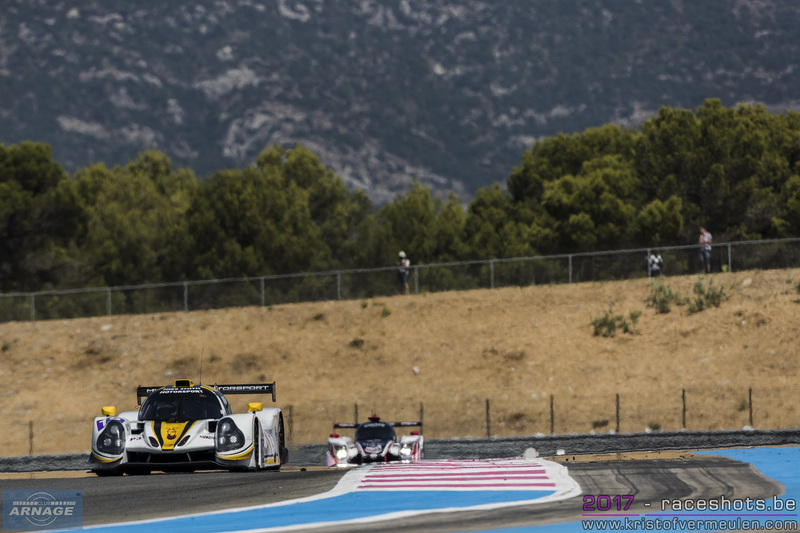 In LMP3, AT Racing’s Mikkel Jensen took the honours after setting a 2:13.634 in the final moments of the session leapfrogging the Austrian team’s Ligier to the top by 0.711s. The two United Autosports Ligier JS-P3s came next with the #3 of Wayne Boyd pipping teammate Sean Rayhall in the #2 to second by 0.2s after the pair had traded places throughout the session. 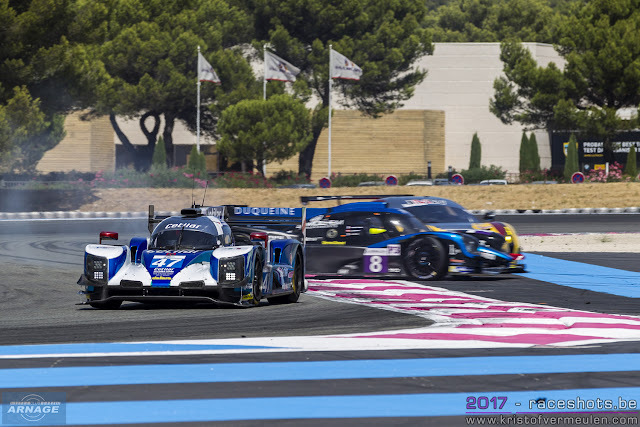 Third in class for Sunday’s race will be the #6 360 Racing Ligier (2:14.692) with Duqueine Engineering’s #7 car being the first of the Norma M30s in fifth after David Droux set a 2:15.005 lap. In the GTE class, despite TF Sport’s Nicki Thiim setting the early pace it was Italian hotshot Matteo Cairoli who put his ageing Proton Competition Porsche 911 RSR onto Pole Position for the first time this season when he set a 2:16.757 on the second of his 4 laps. 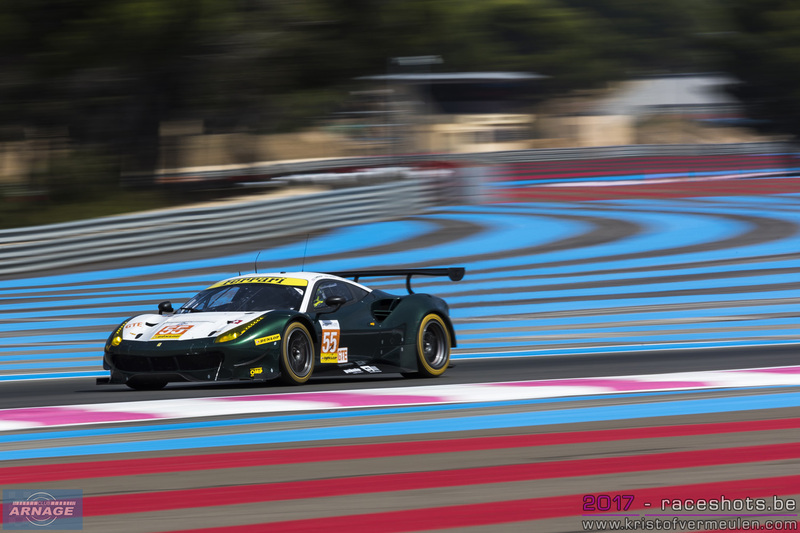 Thiim’s best time was a 2:17.115 which was good enough for second and JMW returnee Will Stevens put the #66 Ferrari into third with a 2:17.684. 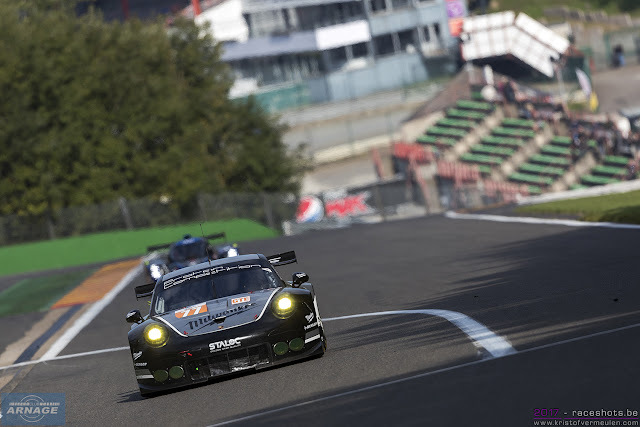 Matt Griffin naked everything from the green #55 Spirit of Race Ferrari but was still a second behind Cairoli’s Porsche and will start fourth with the #51 sister 488 fifth. 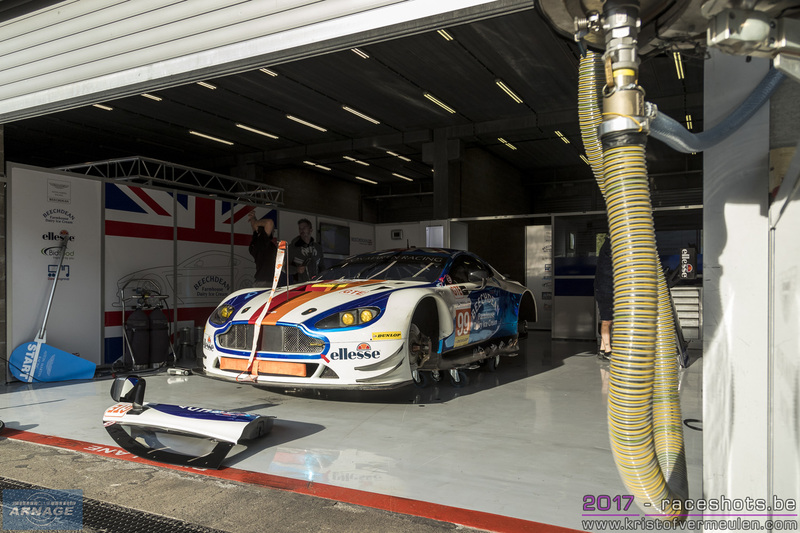 Another disappointing session for the Beechdean Aston Martin means the team will start at the back of the grid tomorrow, a place the team is starting to know only too well, with the best lap for Ross Gunn’s (2:18.050) nearly 1.3s off the Pole time. The 2018 European Le Mans Series calendar has been unveiled this morning. No change in venues for the 2018 season, with a return to all 6 current track which are on this years schedule. There's a few tweaks though on the order in which the races will be held. 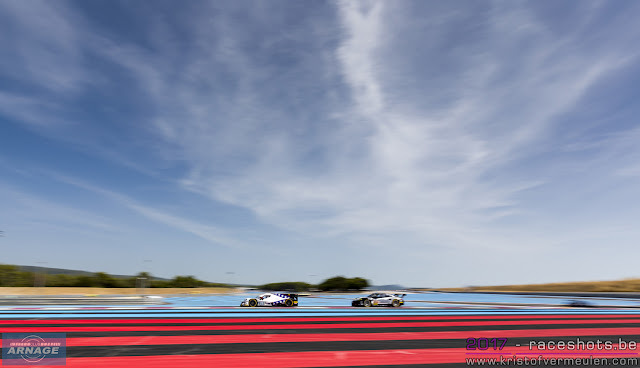 The official pre-season test will move back to Le Castellet in April instead of Monza, with the French venue also hosting the opening round of the series just five days later. 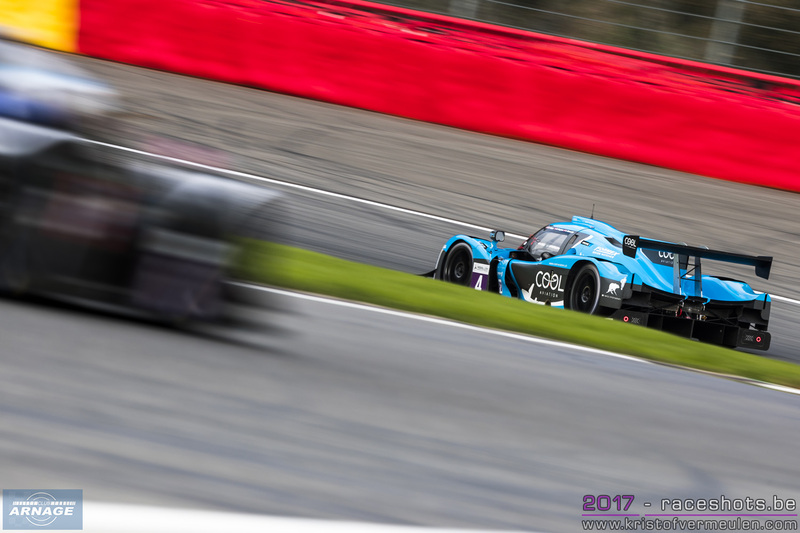 Silverstone, which has been the traditional season opener since 2013, will swap with Le Castellet and move to a summer date in August. The race in Silverstone will still be a double header with the FIA WEC race during the weekend of August 18th. The other four-hour races will still be held in Monza (Italy) in May, Red Bull Ring (Austria) in July, Spa-Francorchamps (Belgium) in September and the season finale in Portugal returns to Portimão in October for the second successive season. 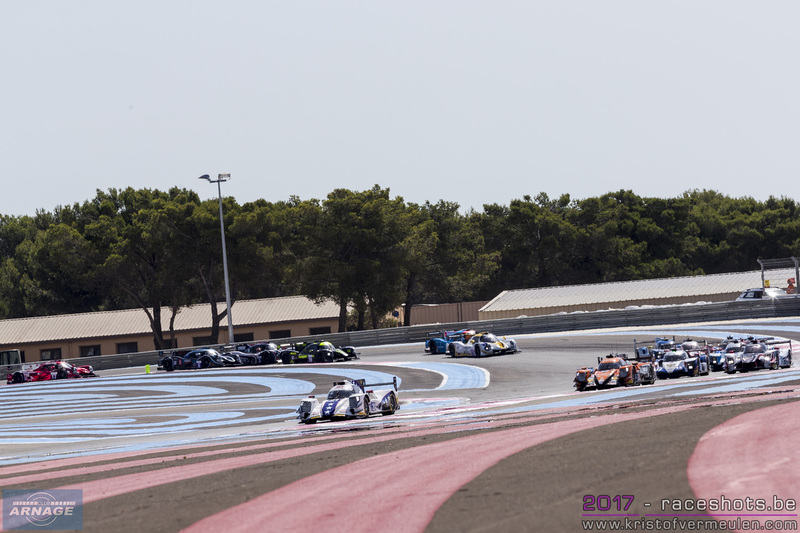 After a highly successful 2017 season, the Michelin Le Mans Cup will continue to follow the European Le Mans Series all year long, with the exception of Silverstone as the series will have its flagship event, the Road to Le Mans, at the 2018 24 Hours of Le Mans in June. 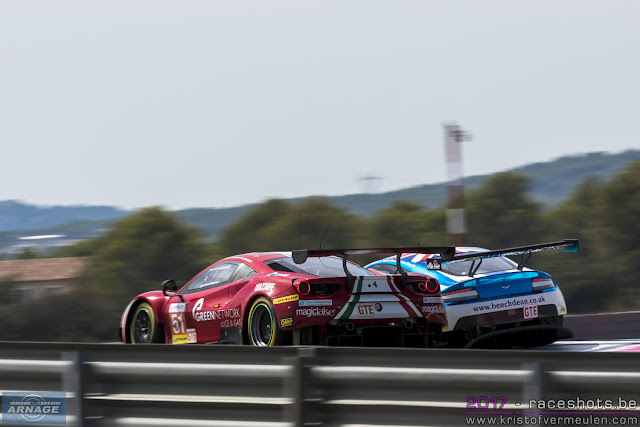 The 2018 season will once again give the competitors the opportunity to race at the best European motor sport venues and the fans to enjoy great racing all around Europe. 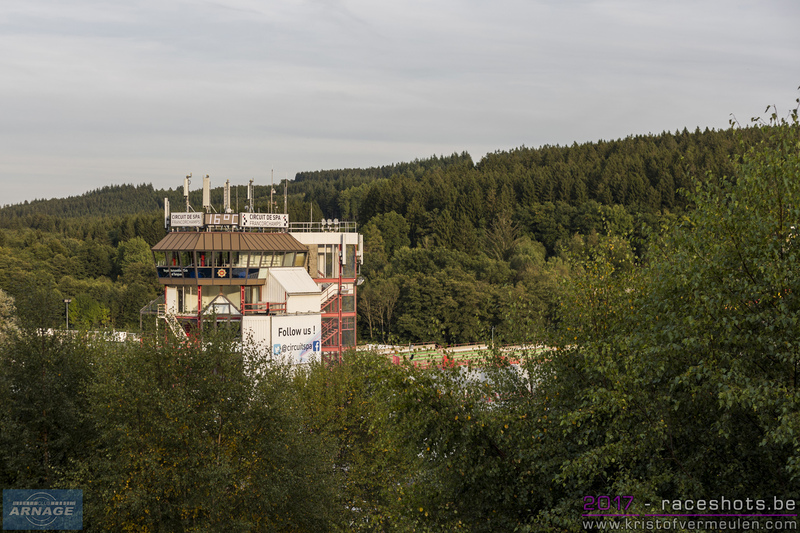 A delayed second practice session this morning due to the fog hanging over Spa-Francorchamps. That didn't stop Ryo Hirakawa from scoring the fastest lap in the second free practice session. 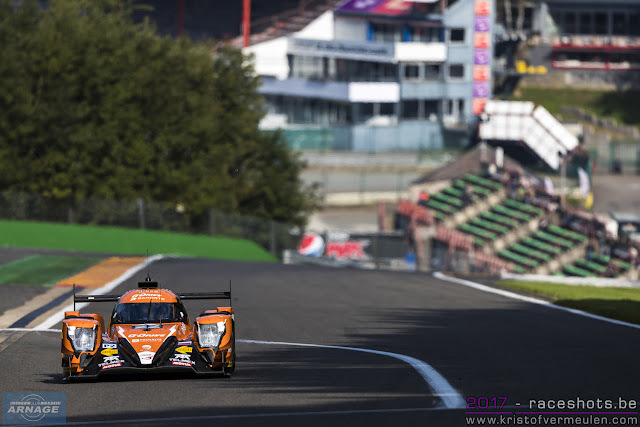 Hirakawa, who returns to the ELMS after missing out the last 2 races due to his commitments in the Japanese Super GT championship, set a time of 2.03.058 which was 0.521 seconds faster than Richard Bradley in the #40 Graff Racing Oreca. 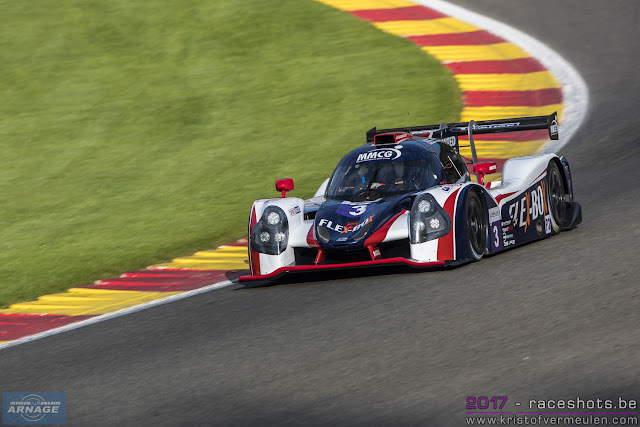 Third fastest this morning was Filipe Albuquerque in the #32 United Autosports Ligier in 2.03.605. 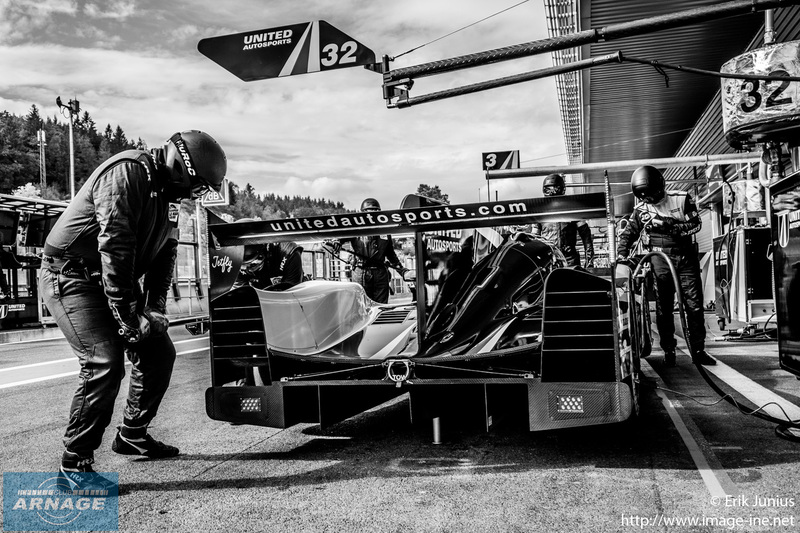 Enzo Guibbert in the #39 Graff Oreca and Ben Hanley in the #21 Dragonspeed. 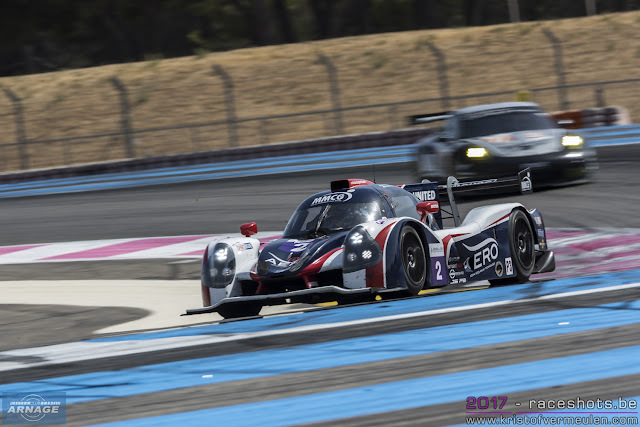 Wayne Boyd was quickest in LMP3, putting down a 2.15.781 in his #3 United Autosports Ligier. 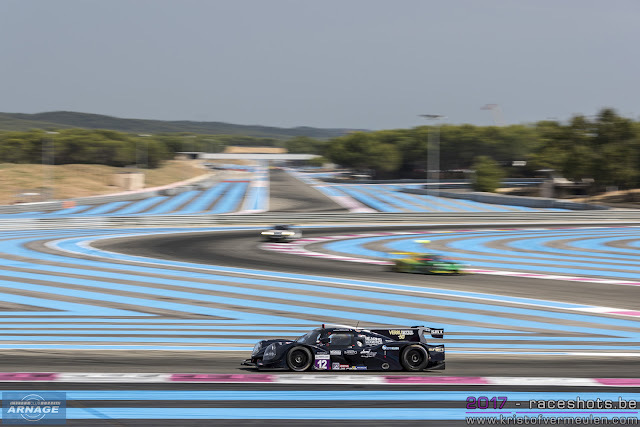 Jakub Smiechowski who took second place at Le Castellet last month was 1.492 seconds slower than Boyd in second place in his #13 Inter Europol Competion Ligier. 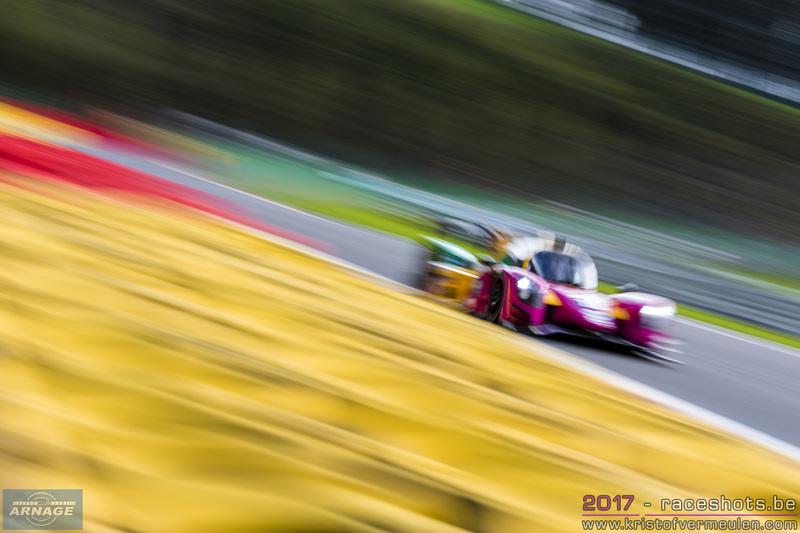 Third fastest was Andres Mendez in the colourful #10 Oregon Team Norma in 2.17.327, just 0.054 seconds behind Mendez, despite having an off early in the session and losing oil later on. In LMGTE it's championship leaders TF Sport who were fastest this morning, Nicki Thiim posting a 2.17.901. Will Stevens is starting to find his way again in the JMW Ferrari, setting the second fastest time, but already just over a second slower than Thiim (2.18.951). Rounding out the top 3 this morning was Andrea Bertolini in the #51 Spirit of Race Ferrari. The first practice session yesterday afternoon was led by Jonathan Hirschi in the #39 Graff Oreca 07. 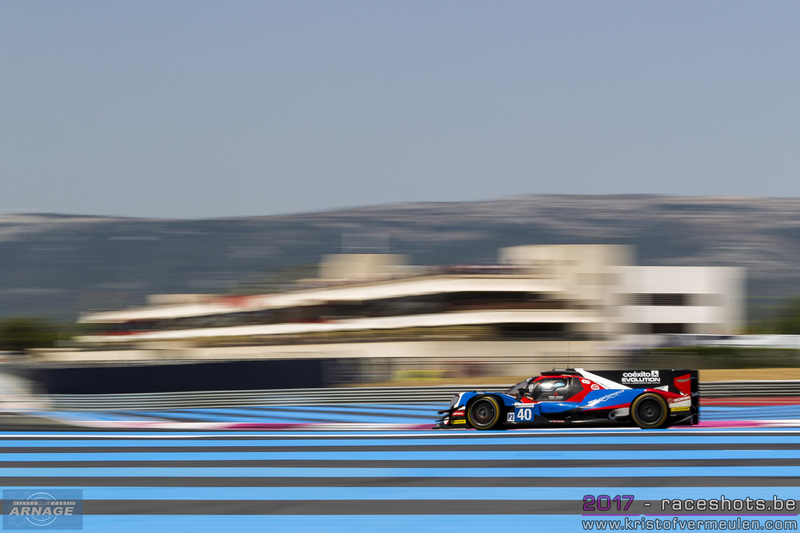 Hirschi didn't miss his debut with the French team and set a laptime of 2.04.796. Second fastest was Ben Hanley in the #21 Dragonspeed Oreca, just 0.036 second behind the Swiss driver. Hufo de Sadeleer in the #32 United Autoports Ligier was third fastest in 2:05.405, almost a second behind Hirschi. Rounding out the top 5 were Nathanaël Berthon in the #28 Panis Barthez Competition Ligier and Andrea Belicchi in the # 47 Cetilar Villorba Corse Dallara. 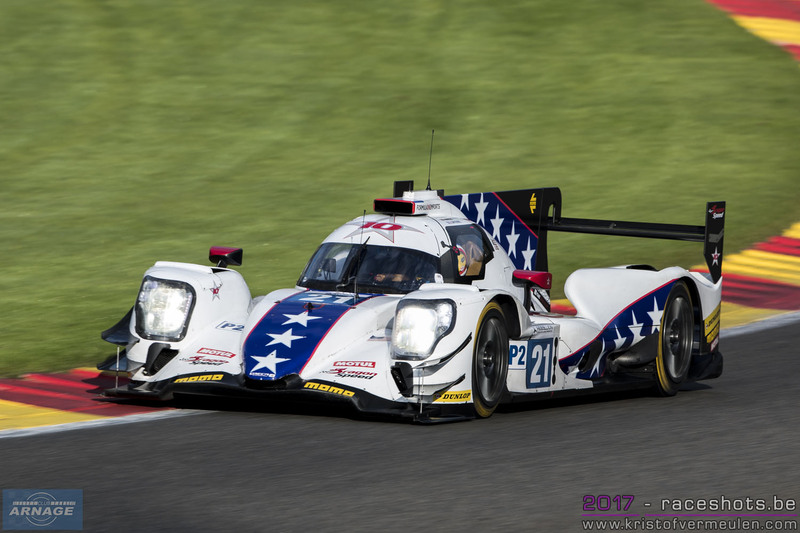 By the end of the session, James Allen in the second Graff set the fastest time,, but saw his time deleted due to a pitlane infringement (speeding). The first practice session was red flagged in the final minutes when Paul Lafargue stopped on track at Les Combes in his #28 IDEC Sport Ligier. Mikkel Jensen in the #9 AT Racing Ligier JSP3 set the pace in the LMP3 class with a time of 2.15.004. Jesnen left both United Autosports car behind him; Wayne Boyd was second fastest in the #3 (2.15.335), Sean Rayhall in the #2 (2.15.485). The top 5 in class were all Ligiers with the #15 RLR Msport fifth fastest and the #6 360 Racing completing the top 5. 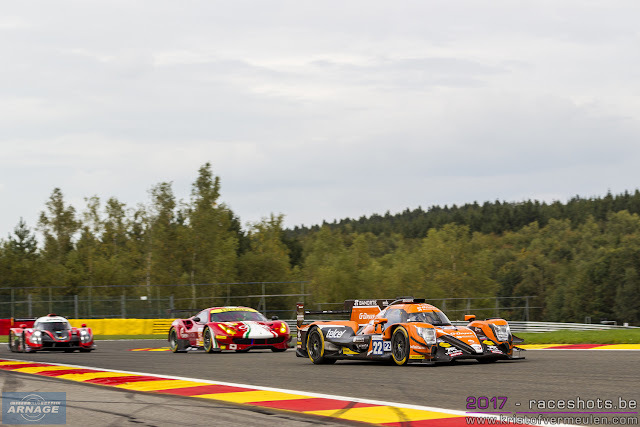 Although Spa should be in favour of the Norma's with their high top speed on the long straights, the first Norma M30 in the classification was the #7 Duquiene Engineering of Antonin Borga in 2.16.635 which was 1.631 second off the pace of Mikkel Jensen. 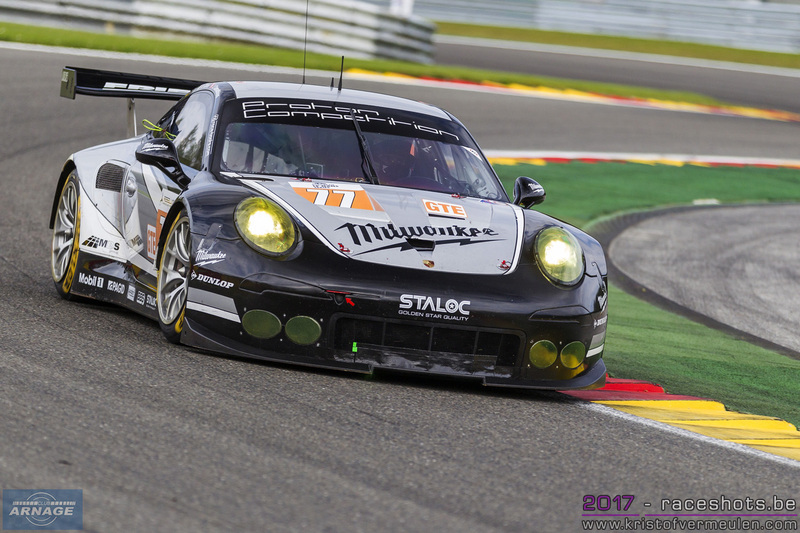 In LMGTE Matteo Cairoli was flying in the #77 Proton Competition Porsche, demolishing all other contenders with a 2.17.888. 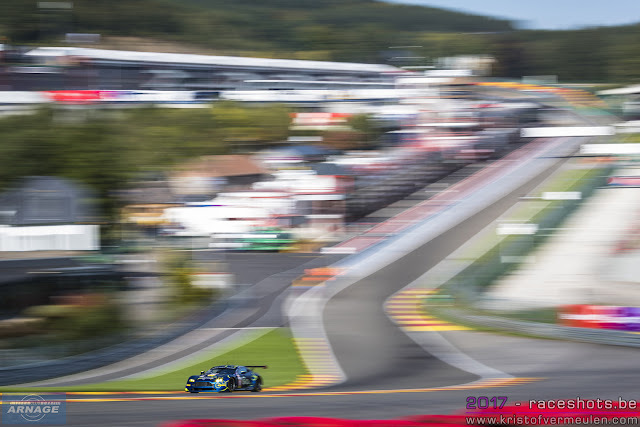 No one came near the Italians time, Darren Turner was second fastest in the #99 Beechdean Aston Martin in 2.20.292, which is 2.4 seconds behind Cairoli. Third fastest was the championship leading #90 Aston of Nicki Thiim, who set a 2.21.096. FIA WEC launches their global fan survey: "Have your say on the future of the WEC"
The WEC Global Fan Survey launches today with the aim of getting motorsport fans throughout the world to give their views on a comprehensive range of subjects concerning the WEC and endurance racing. 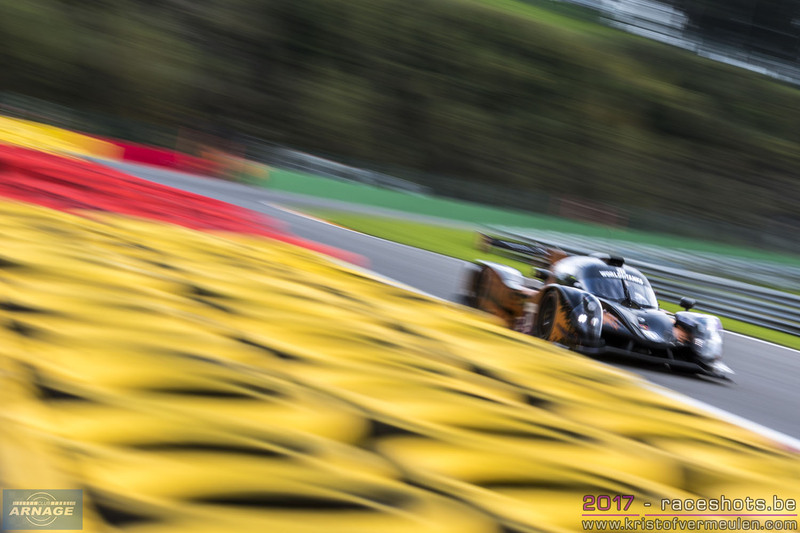 The championship is looking for a minimum of 50,000 views so get clicking NOW to help shape the future of the WEC! 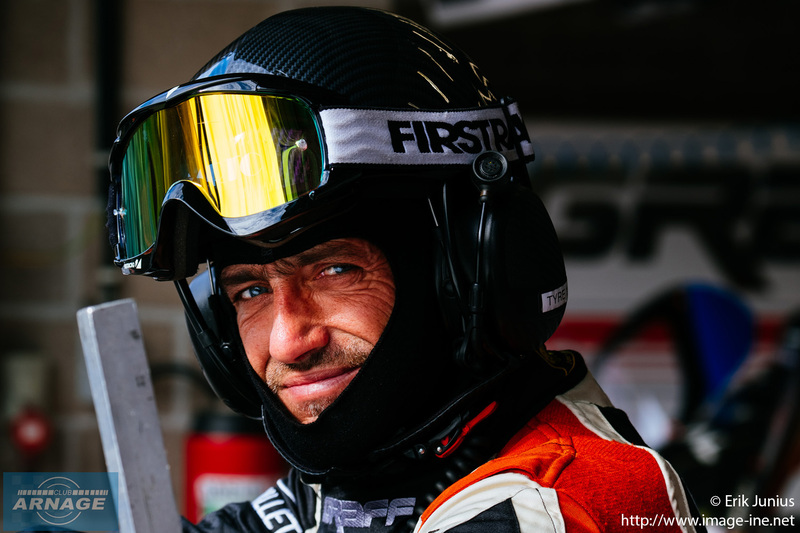 The championship has joined forces with Motorsport Network and Nielsen Sports for the management of the survey, and fans will be able to complete it in any of 10 different languages by clicking here: https://wecsurvey.motorsport.com/. 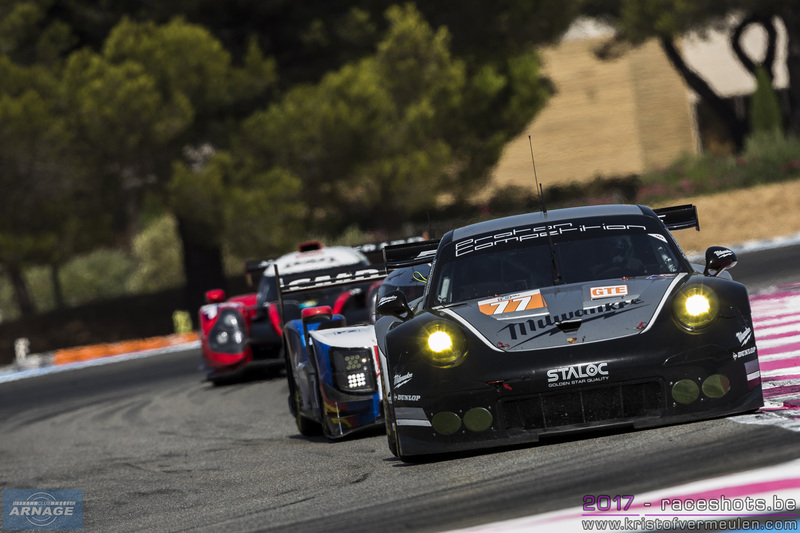 The results of the survey will help shape the future of the world sportscar championship, starting from the 2019/2020 season and into the future. 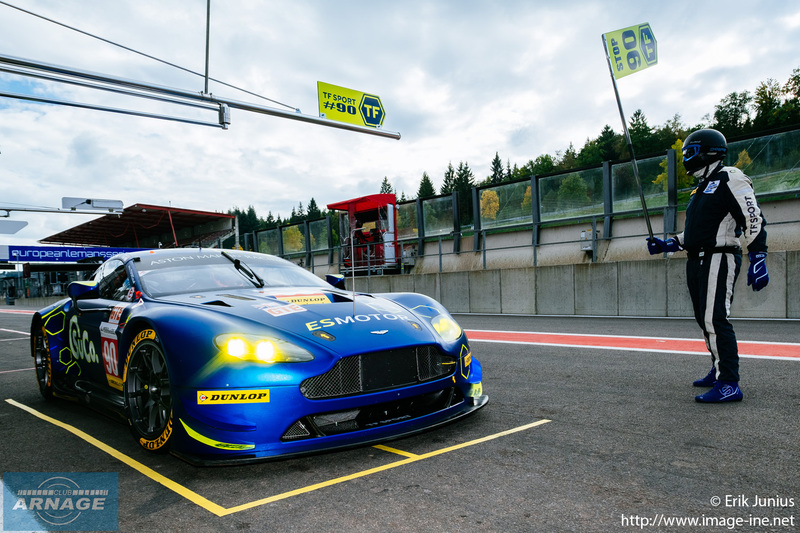 “We want to hear from the fans,” said FIA World Endurance Championship CEO, Gérard Neveu. “Echoing the values and attitudes led by Jean Todt, President of the FIA (Fédération Internationale de l’Automobile), and Pierre Fillon, President of the ACO (Automobile Club de l’Ouest), this has always been our philosophy and we want them to have their say about the future of the WEC. 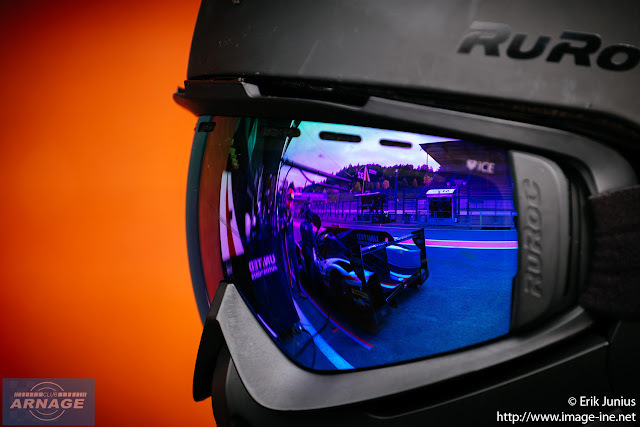 “We will have all the different topics – calendar, regulations, entertainment, all the sport’s components – and we want fans around the world to give us their opinion to help shape the sport for the future. 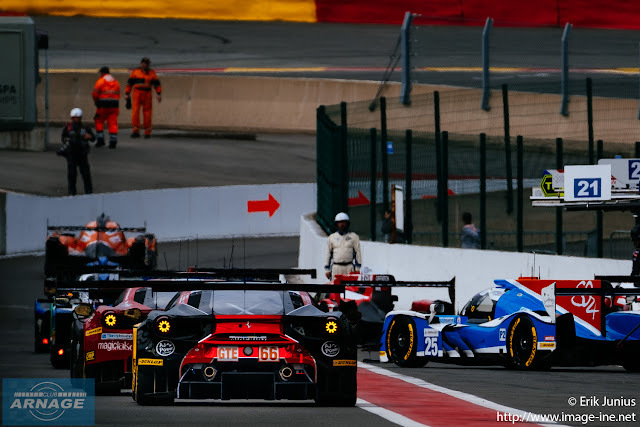 “We have provided a stage for fans to tell us in their words what they love, how they feel and what they want to see in the future from sportscars. Before we take any decisions on the 2019/20 season, we want the opinions of our global fan base to help guide us in our decision making. We will announce the result and a summary of the survey in Bahrain at the last race of the 2017 season. 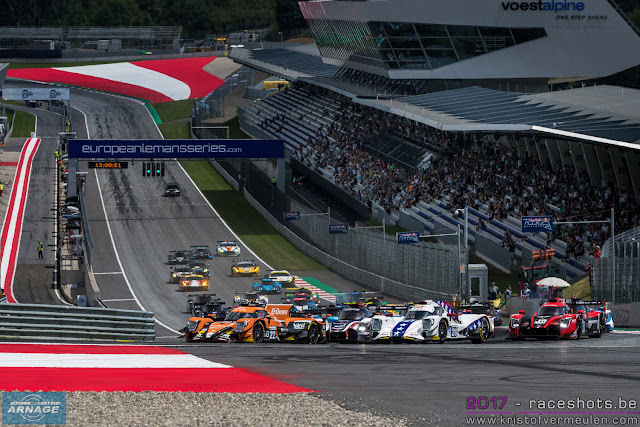 “The FIA WEC – in conjunction with the ACO and the FIA – have some important decisions to make in the near future and this survey will provide us with the solid foundation of global fan data on which we can base our decisions.” The FIA WEC recently announced a number of changes to the championship including a switch to a winter calendar and a transitional “super season” which will begin at next year’s WEC 6 Hours of Spa-Francorchamps and conclude at the 2019 24 Hours of Le Mans. 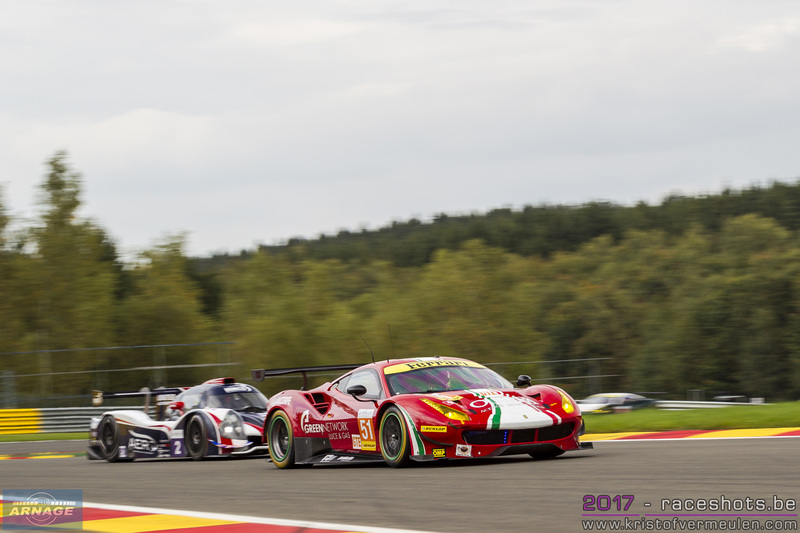 Yesterday, the FIA held its latest World Motor Sport Council in Paris and confirmed the 2018/2019 schedule for the FIA World Endurance Championship. 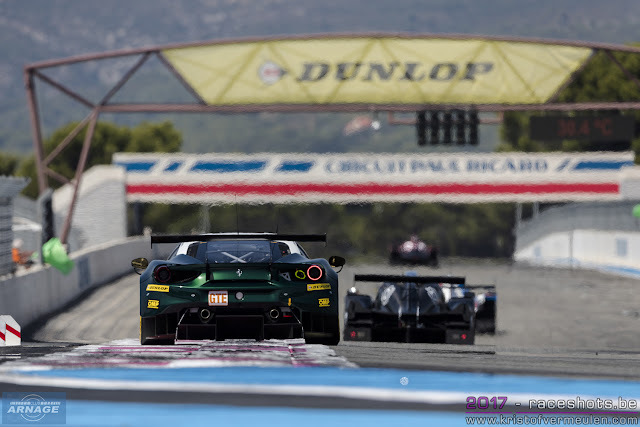 No real suprises there compared to the earlier announced schedule, with the addition of Silverstone, except the confirmation that the race at Sebring will be a "1500 mile" race instead of 12 hours (although 1500 miles will take the drivers about 12 hours to complete). 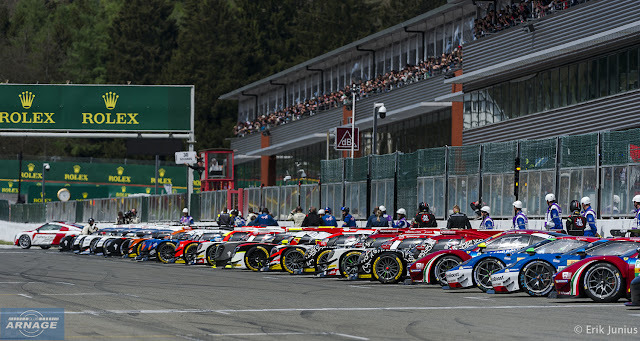 The World Motor Sport Council also offered its full support for the FIA Endurance Commission in its efforts to further strengthen and promote the FIA World Endurance Championship; one of the FIA’s most important assets. 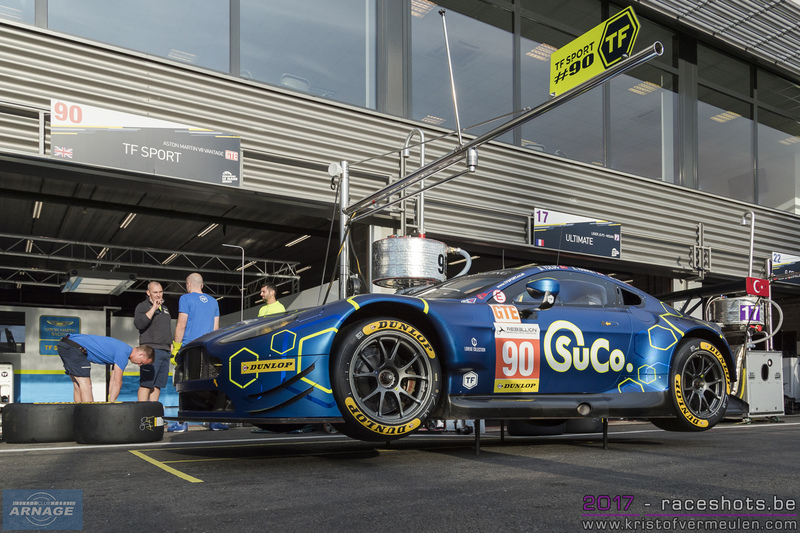 The FIA Endurance Commission was also encouraged to pursue a number of exciting and innovative proposals that it is currently working on, with the aim of enticing new manufacturers to the Championship. The World Motor Sport Council also agreed to a number of Technical Regulation amendments for 2018 and 2019. From 2018, incorporation of the LMP1 Non-Hybrid cars into a single classification with the LMP1 Hybrid cars (while maintaining the current specific technical regulations). 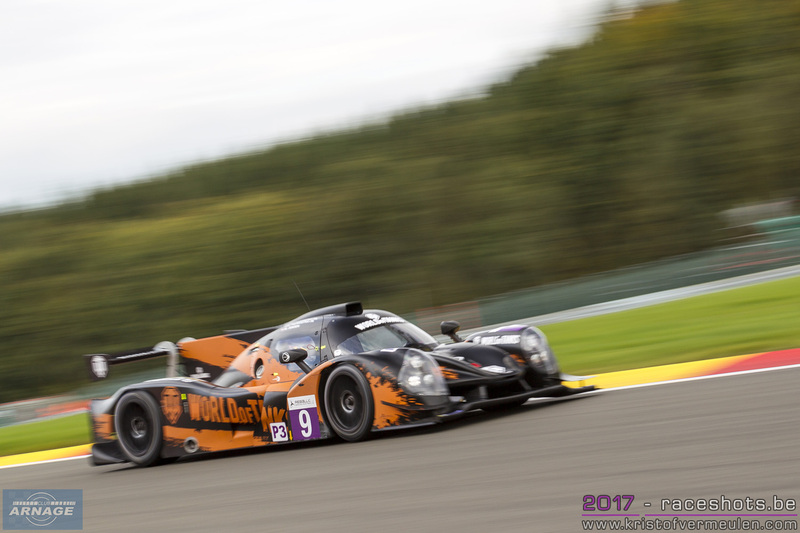 It is proposed to equalise the lap performances of the best LMP1 Non-Hybrid and Hybrid cars by adjusting the instantaneous fuel flow and fuel consumption per lap for the Non-Hybrid cars. 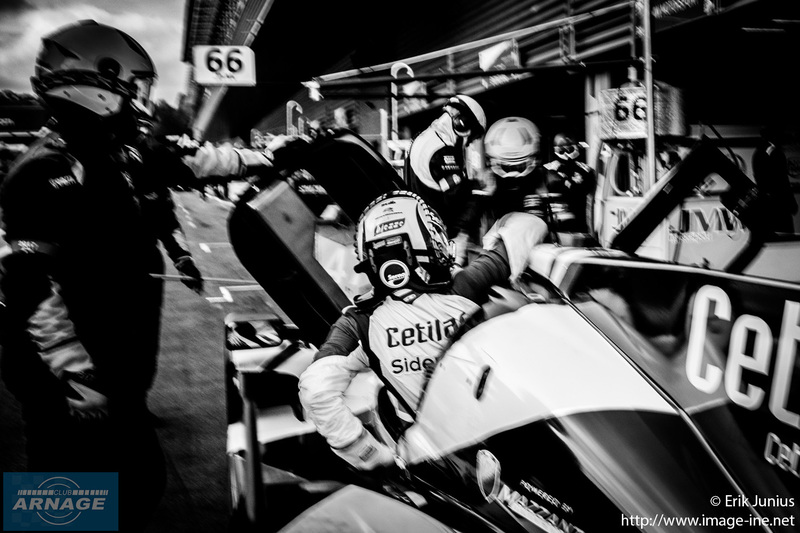 A fuel range advantage for Hybrid cars (one extra lap at Le Mans) will be enforced. 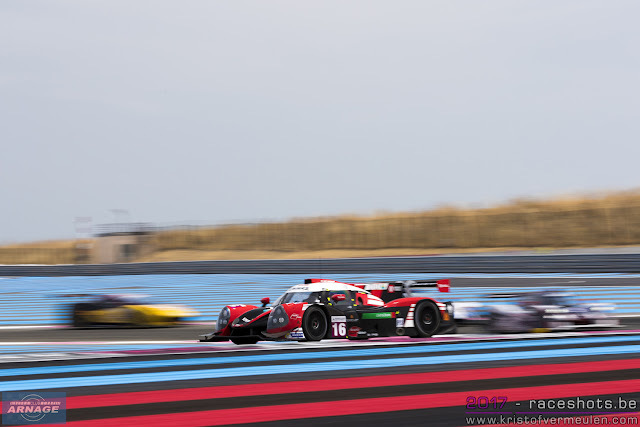 A technological coefficient between naturally aspirated engines and turbo engines will be implemented in order to open up the field of possible engines for LMP1 Non-Hybrid cars. From 2019, a ban on fluidic switches and energy brought to the general aerodynamics of the car – this is in anticipation of potential complex and expensive developments in this area. 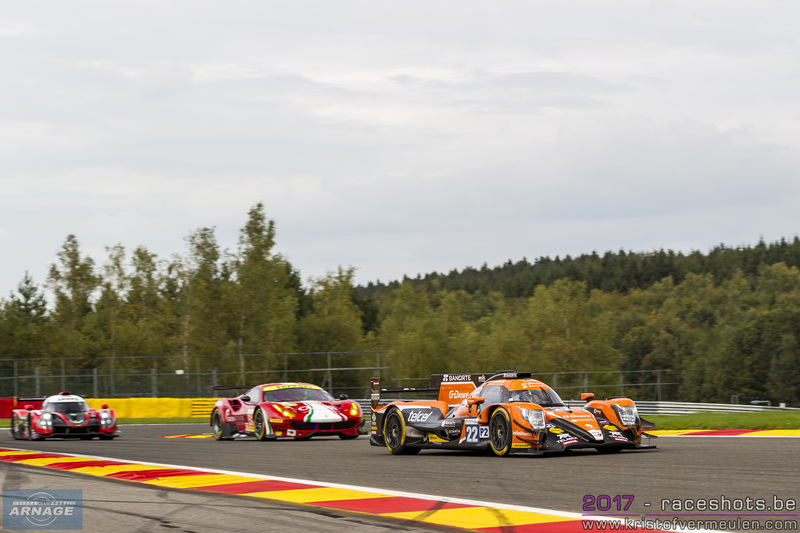 The title showdown of the 2017 European Le Mans Series kicks off this weekend with the 4 hours of Spa-Francorchamps, the penultimate race of the season. With a packed grid of 35 cars, the iconic track in the Belgian Ardennes is set for another weekend of great endurance racing. Weather-wise it seems like we dodged a bullet again at Spa, with sunny forecasts and a hint of an indian summer in the air, temperatures rising up to 20 degrees on race day. 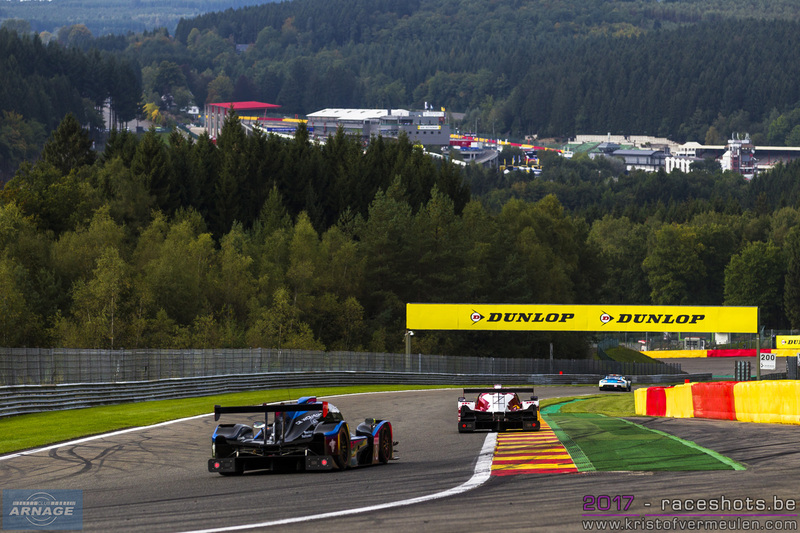 It's still Spa though, so our raincoats won't be too far away. With just 2 races to go, the battle for the 2017 championship in LMP2 is likely to be battled out between the #22 G-Drive Racing Oreca and the #2 United Autosports Ligier. 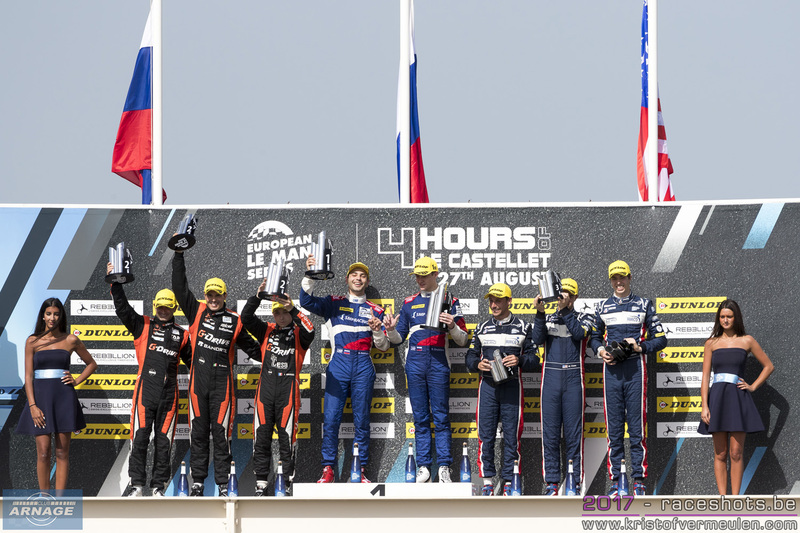 G-Drive Racing leads the championship with 80 points; winning at Monza and scoring second place on all other races. 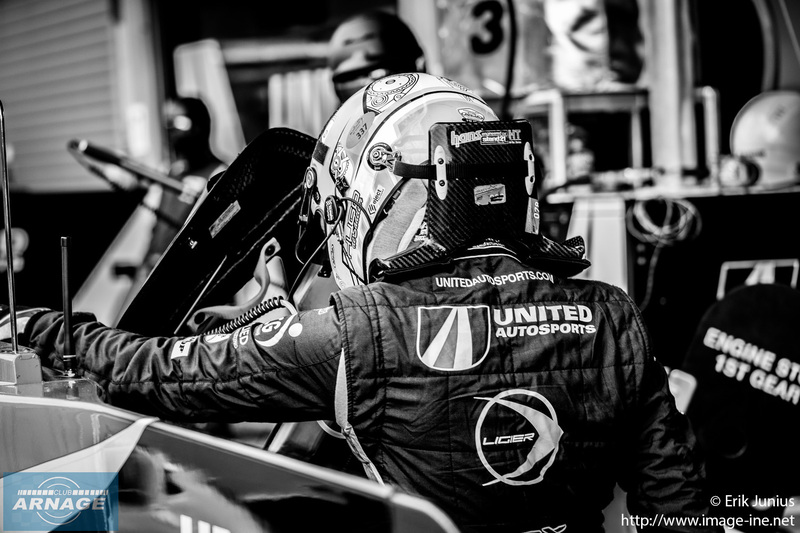 United Autosports follows with 68 points, after winning at Silverstone and the Red Bull Ring. 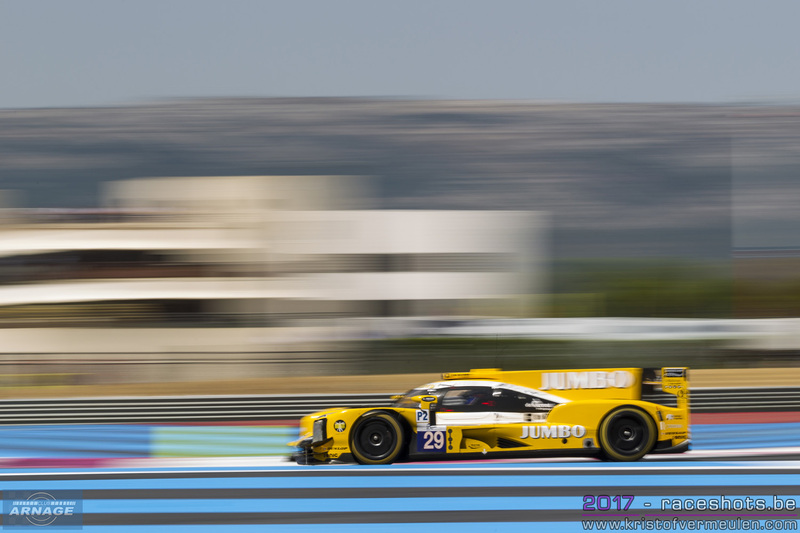 Losing out their podium finish at Paul Ricard last month due to a full course yellow infringement cost the American team 5 points in the championship, so it could have been even closer. Graff Racing is third in the standings right now with the #39 Oreca, but with 49 points already 19 adrift from United Autosports in second place. 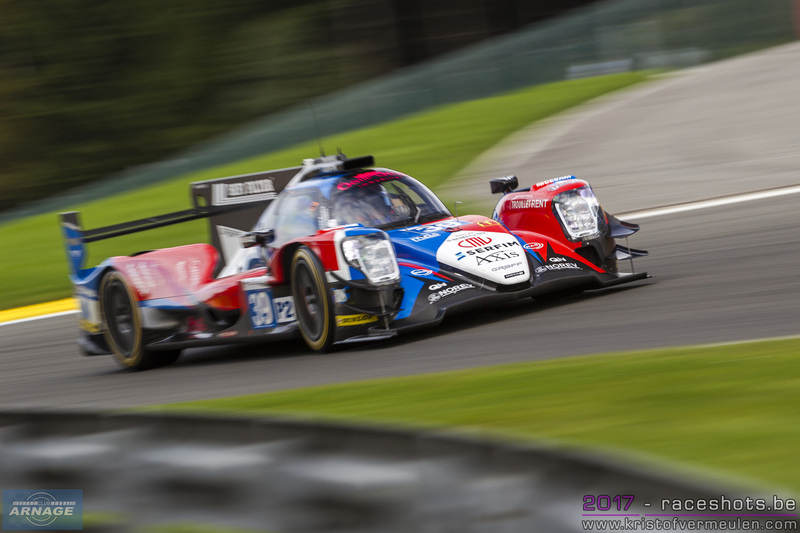 A DNF or bad result by one of both leading teams might bring them back in contention though with 25 points for grabs for a race win. The first Dallara is the #49 High Class Racing on fourth place. Last months winners, Russian young guns Mates Isaakyan and Egor Orudhzev in the #27 SMP Racing Dallara will be one of the teams to watch this weekend. Spa-Francorchamps should be a track that suits the Dallara's with its high speed sections and corners. 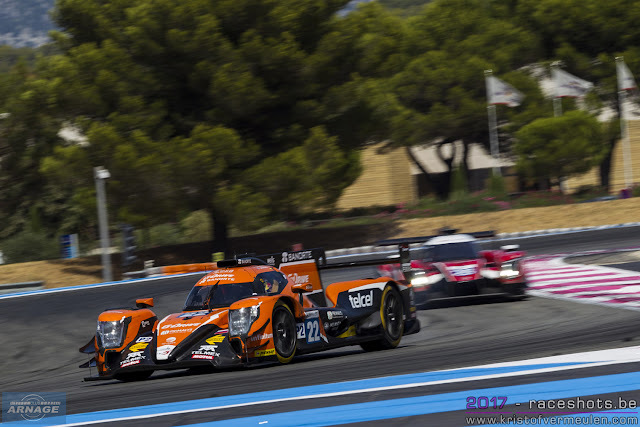 Ryo Hirakawa is back in the #22 G-Drive, joining Memo Rojas and Léo Roussel again in the Oreca07 after missing out the races at the Red Bull Ring and Le Castellet due to his commitments in the Japanese Super GT Championship. 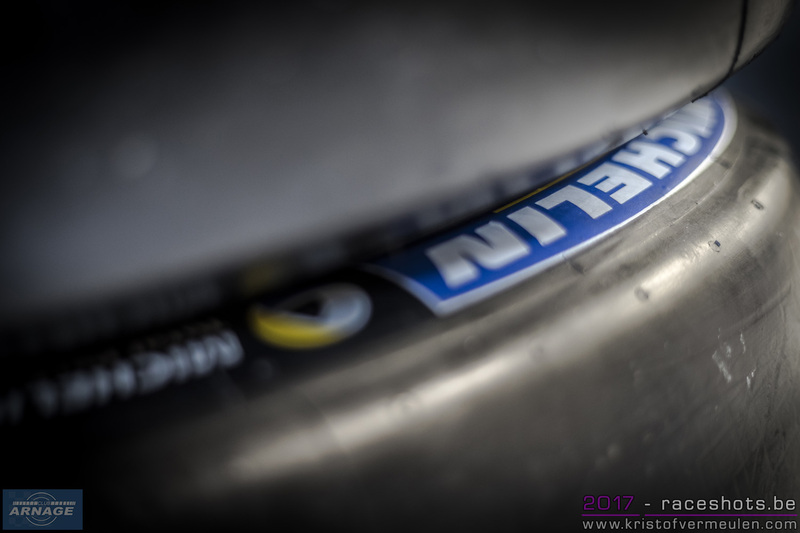 He was replaced by “quick Nick” Minassian who scored two podium finishes in the past 2 races. 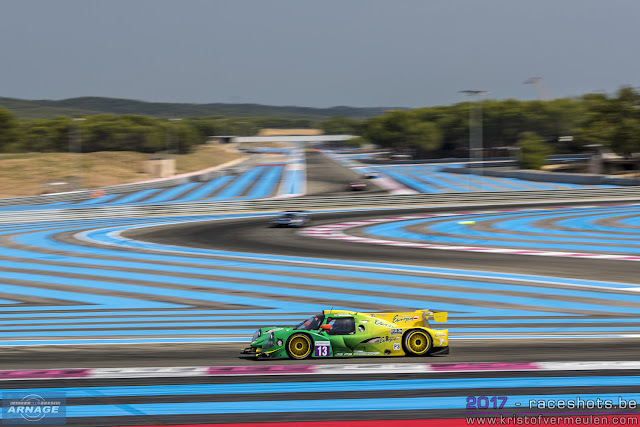 Absent on the #28 IDEC Sport Raicng Ligier is Olivier Pla. The Ford GT factory driver is bound to race in the IMSA race at Laguna Seca this weekend. 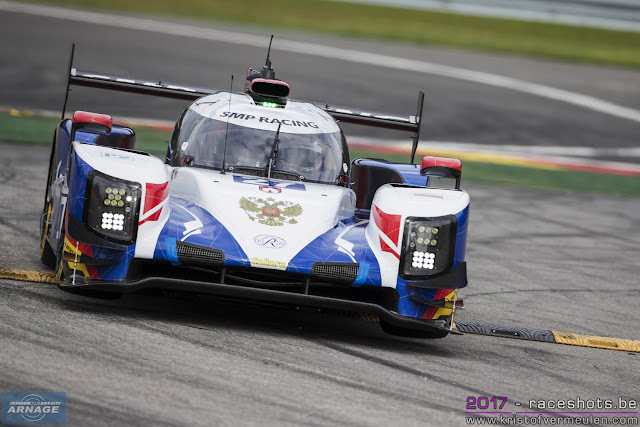 Pla will be replaced by Paul-Loup Chatin, who returns to the European Le Mans Series for the first time since last season. 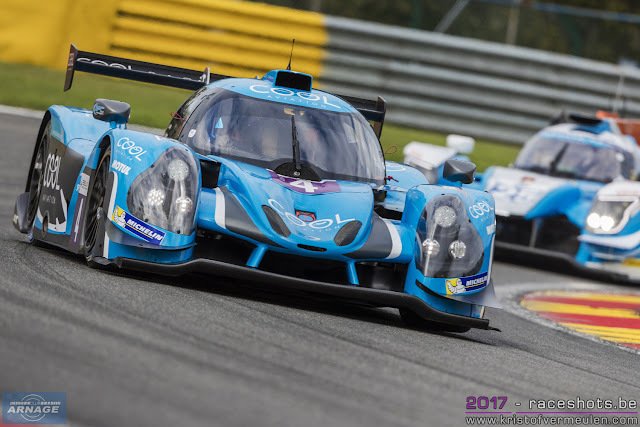 Chatin raced with Signatech Alpine and Panis-Barthez competition in the past 3 seasons in the FIA WEC and ELMS and will team up with Paul and Patrice Lafargue..
Another driver missing this weekends race is Eric Trouillet in the #39 Graff Oreca. 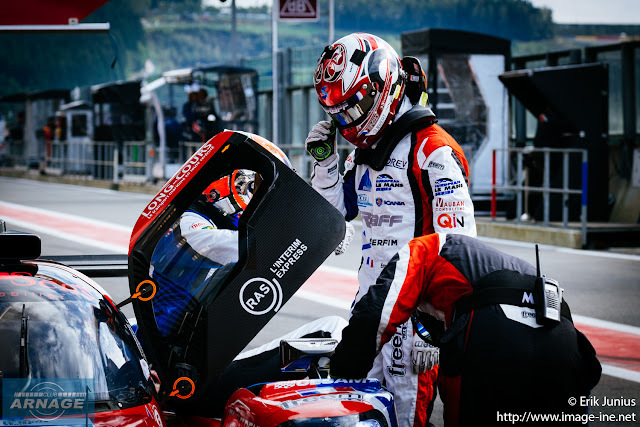 He will be replaced by Jonathan Hirschi who drove with Manor in the FIA WEC earlier this season and at Le Mans. The LMP3 field will be the biggest one on the grid again with 17 cars ready to tackle the Ardennes. 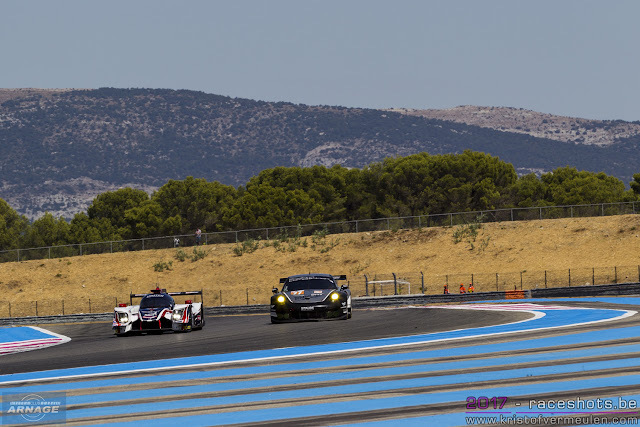 Compared to the race at Paul Ricard, just a few driver changes are to be noted in the class. 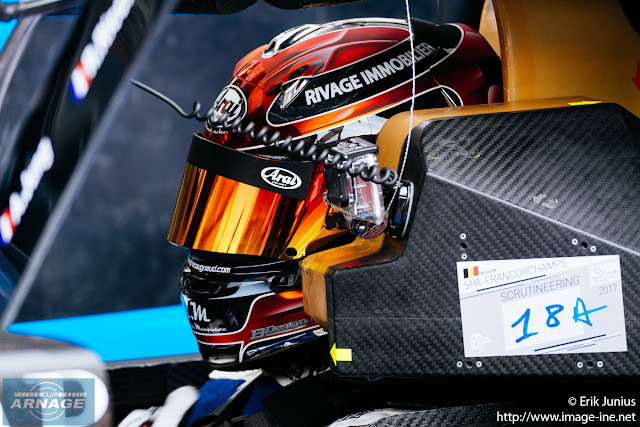 Giorgio Mondini will be joined by Marco Jocaboni in the #12 Eurointernational Ligier. Jocaboni replaces season regular Davide Uboldi. 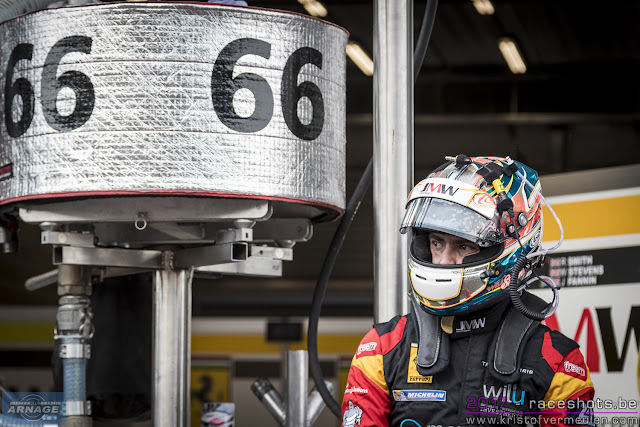 Erwin Creed won't race the #19 M.Racing-YMR Norma M30, he is replaced by Australian Neale Muston. 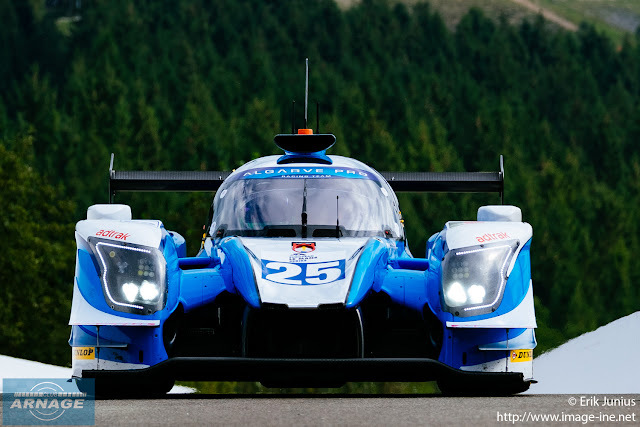 No sign either of Tristan Viidas on the #5 BySpeed Factory Ligier which will be driven by Tim Müller and Jurgen Krebs. 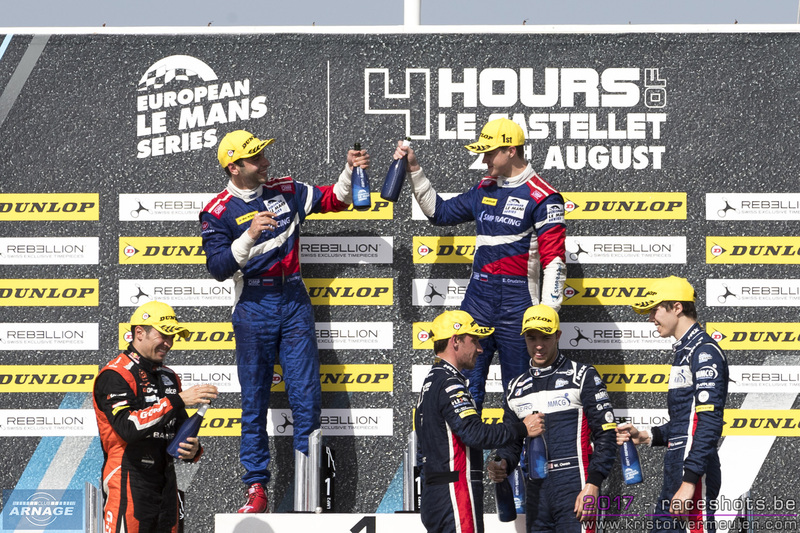 The #2 United Autosports arrives at Spa as leaders in the championship with 70 points after a win at Silverstone and Le Castellet and second place at the Red Bull Ring. 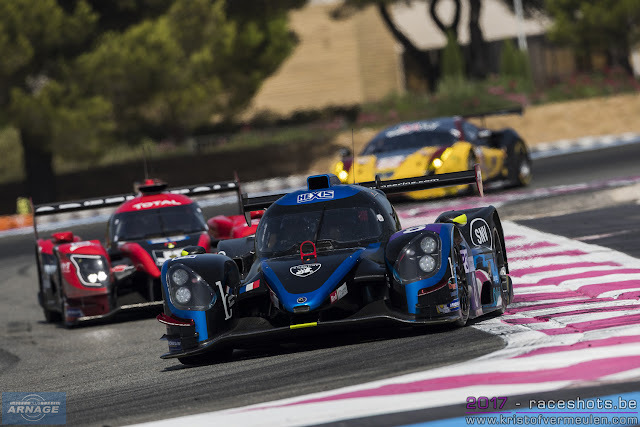 Second so far is the #18 M.Racing-YMR Ligier with a total of 58 points, 12 points behind the leaders. 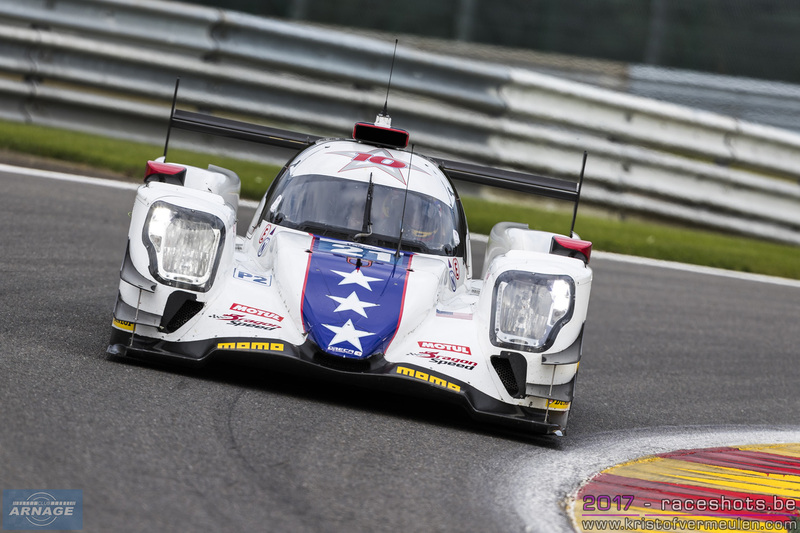 The #18 hasn't won a race so far this season but scored four podium finishes in a row. 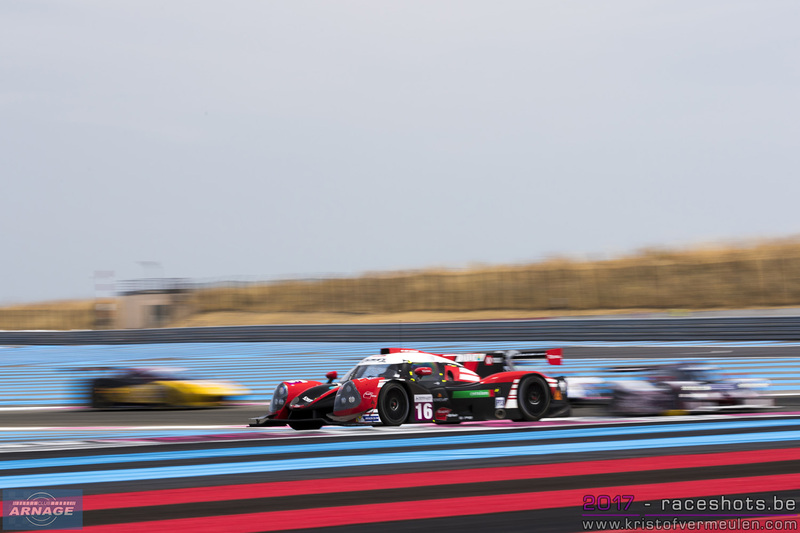 The red/white #3 Ultimate Ligier is in third place with 53 points. 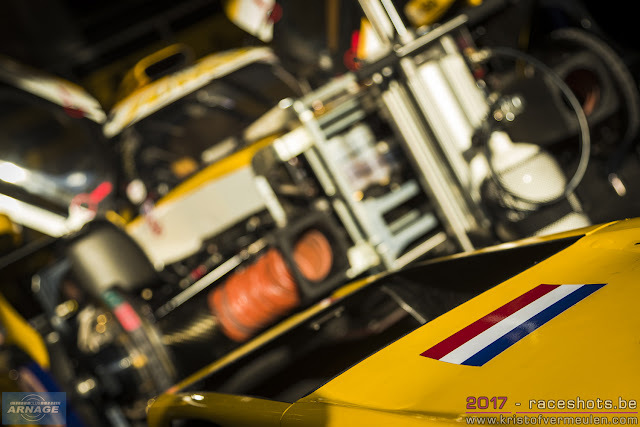 The #11 Eurointernational and #13 Inter Europol Competition are currently fourth and fifth in the championship and not to be counted out for a top 3 finish by the end of the season. Especially the Inter Europol team who came in second at Le Castellet and won their last race in the VdeV series. One major change to note in the driver line-up of the LMGTE class: Will Stevens returns to the JMW team in the #66 Ferrari F488GTE. 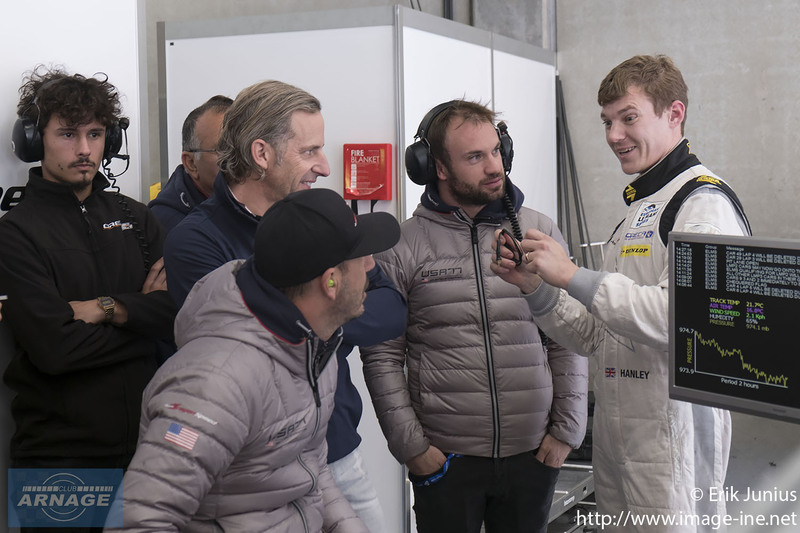 It's the first time Stevens will drive the car again after winning the GTE-Am class at Le Mans. He will join Robert Smith and Jody Fannon in the yellow Ferrari. Stevens will also race with the team at the season finale in Portimao next month. 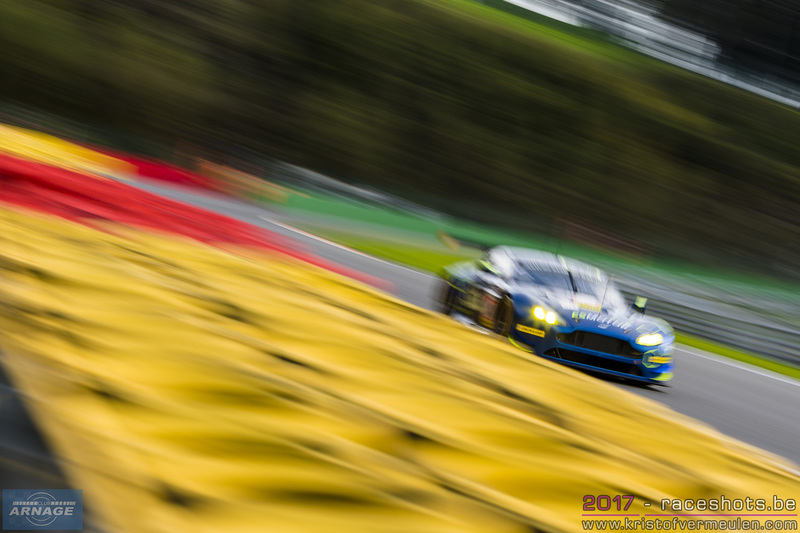 TF Sport leads the LMGTE championship in their #90 Aston Martin Vantage. After 4 rounds they have scored 77 points so far, winning the first race in Silverstone and finishing on the podium of every other race so far. JMW Motorsport is second with 68 points and one win so far at Monza. 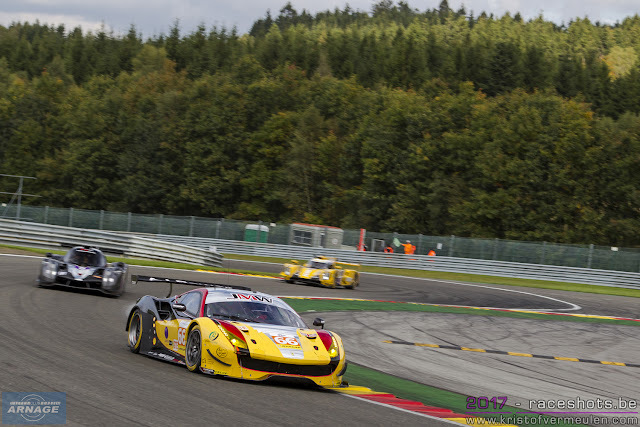 The #55 Spirit of Race Ferrari climbed to third place in the standings with 64 points. 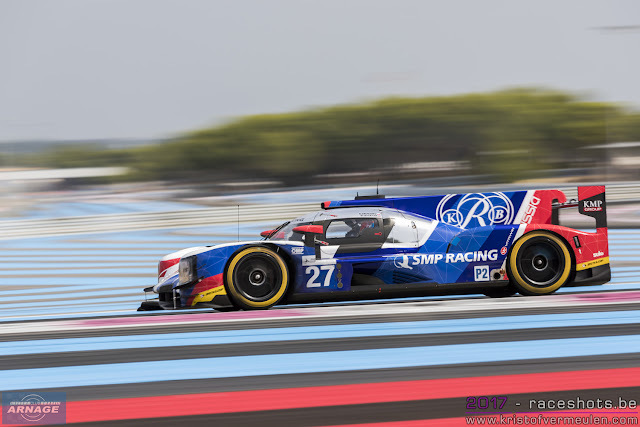 After a though start of the season, not scoring any points at Monza, the Swiss team of Thomas Flohr & co has scored two successive victories at the Red Bull Ring and Paul Ricard and is in full contention for the title. 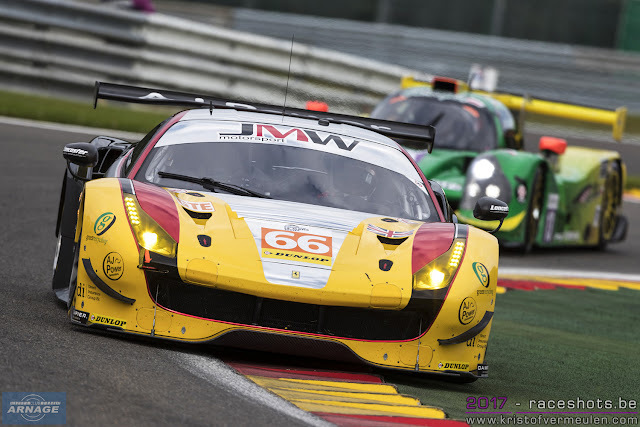 Spa is a track that should fit the Ferrari's more than the Aston Martin, the title showdown on the GTE class will probably be very close until the final laps in Portugal next month ! Track action starts today with the Bronze driver test at 11h20. The first 90 minute free practice session for the ELMS is scheduled at 15h20 this afternoon.